Fatumaca, Timor Leste, 2002 -- Bro. Carlo Gamba was born in Castell' Alfero d’Asti, Italy, on the 24th September 1918. His parents were Pietro Gamba and Victoria Boano. From 1932 to 1934 he made his Aspirantate in Rebaudengo, Turin. His novitiate was done in Villa Moglia, Chieri, from the 2th September 1934 to the 12th September 1935, when he made his first profession. He made his perpetual vows in San Gregorio, Cata­nia, on the 12th September 1941, responding to the call of the Lord "by giving himself totally to God and to his brothers and sisters." Besides being a good Salesian religious, Bro. Carlo also studied hard, and be­cause of his unique intelligence, he earned his diploma and became a professional and excellent teacher in technological disciplines, especially in carpentry, technical designs and mechanics. Bro. Carlo felt the call to the missions early in life. Rev. Fr. 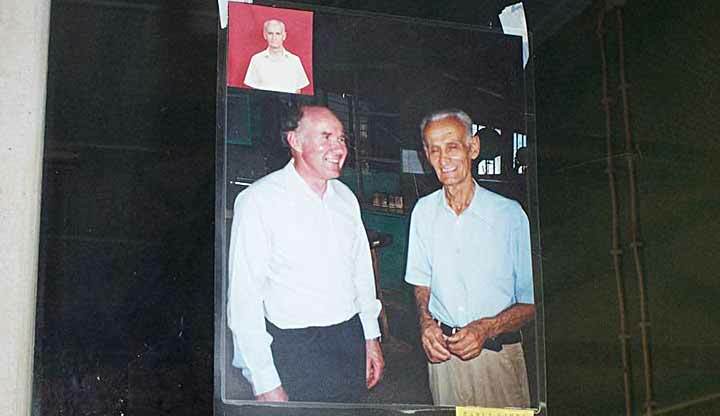 Joao de Deus Pires, one of Timor's Salesian pioneers, had fond memories of Bro. Carlo. He said that Bro. Carlo was bound to, go to Brazil as a young missionary, and so the Superiors sent him to Portugal to learn the Portuguese language. 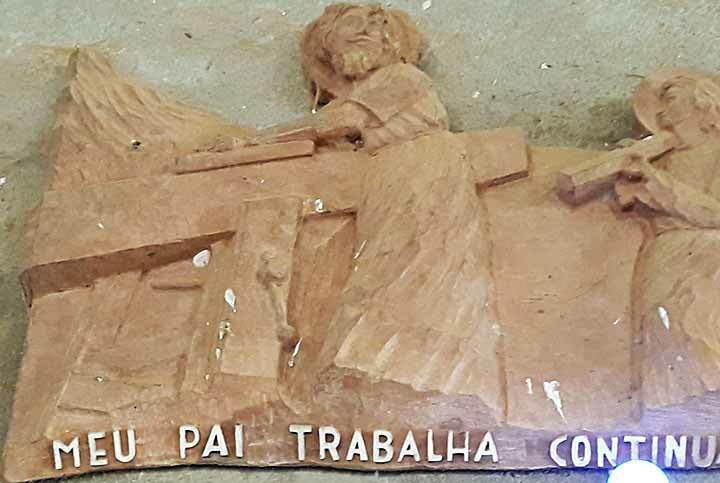 In 1945, he was first of all in the shops of the Salesian School of Sao Jose, Lisbon, where he distinguished himself in carpentry and wood-working. In 1952, he was in the Salesian School of Porto where he stayed for around ten years and worked as a mechanic. Pe. Joao recalled, "As a young cleric, I remember that Senhor Carlos made a deep impression on us young Salesians. He was a man of convic­tion. We were also captivated by his perennial smile. He was always dressed properly, especially when we had to go for our liturgical celebrations. His deep but simple piety had a really profound influence on me. Because the Salesian Province was in need of Salesian Brothers, Bro.Carlo had to continue staying in Portugal for several years more and forego his dream of going to Brazil. As the years went by Bro. Carlo came to love more and more his vocation as a Salesian Brother, "becoming a splendid model of what a Salesian Brother should be," as Rev. Fr. 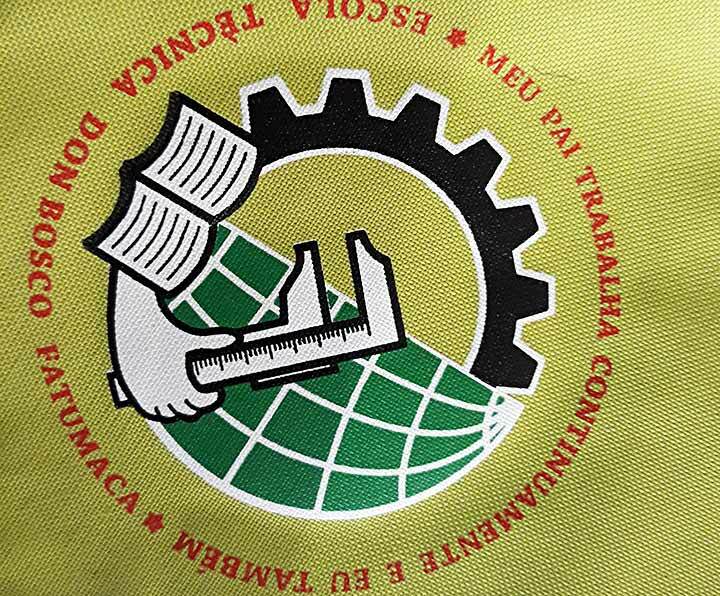 Jose Carbonell, the ITM Vice-Province Provincial Economer said. That is why he became also became an authority with regards to this particular form of Salesian vocation, a consultor and a representative of the Salesian Brothers themselves in many important occasions. He was very much respected even in the Mother House in Turin, Italy. "A Salesian Brother, led by his admiration of Brother Carlo Gamba, went to the extent of calling him II Rettore Maggiore di noi Coadiutori (The Rector Major of us Coadju­tors.)" As a matter of fact, Bro. Carlo was so enthusiastic of his vocation; he was so well-documented in Salesian history and with the teachings of Don Bosco, and so well prepared with technical skills, that he became a point of reference for the vocation to the Salesian Brother. He was so indomitably and consistently attached to the Salesian spirit that with his words and examples he was able to reproduce Don Bosco so well among his young people. He went to Timor as a missionary and started his work in Fatumaca on the 21st of April 1973. 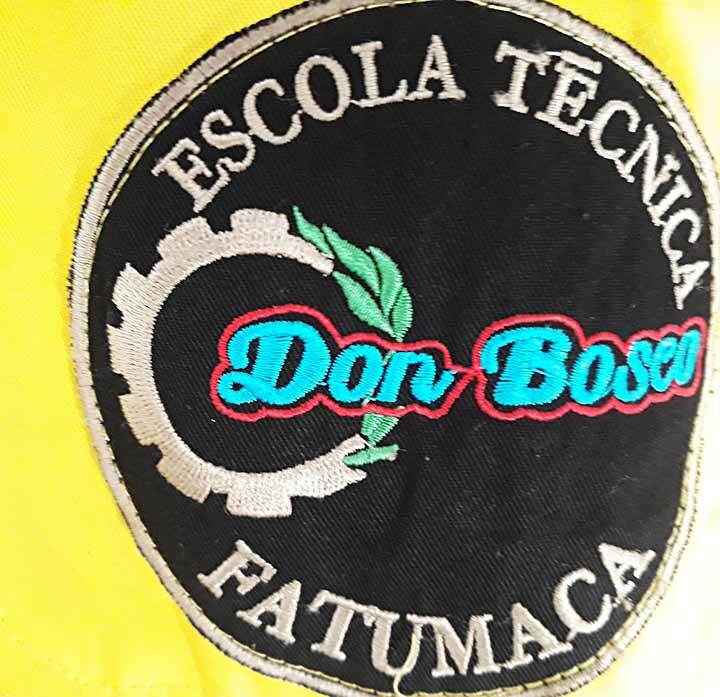 From an agricultural school, Fatumaca became a technical school largely because of the efforts of Bro. Carlo Gamba. In October 1973, Bro. Carlo started with the first 30 students of the Don Bosco Professional School of Fatumaca, financed monthly by the government. In 1975, the Civil War in Timor began. In spite of the worsening conditions, the Salesians of Fatumaca did not stop in their work of evangelization and education. The professional school went ahead up to Easter of the following year. After the school year, the school was completely isolated for five months. In August of 1976, the Indonesian forces started their occupation in the area. It was a difficult time. But at the end of 1976, the technical course received a new impulse, and became a center of interest in the whole of Timor in spite of the on-going war. With Bro. Carlo's foresight, expertise and organizing skills, the shops continued to develop, and in the succeeding years the carpentry and wood-working, mechanics, electricity and electronics shops were estab­lished. Later on, when the Novitiate was approved by the Superiors in Rome and was built in Fatumaca in 1981, Bro. Carlo manifested his devotion to the Church and the person of the Holy Father, and his love for the Congregation by teaching the History of Religious Life and the History of the Salesian Congregation in which he was well versed. In 1986, the construction of the Sanctuary of Mary Help of Christians in Fatu­maca was started. The late Fr. Alfonso Ma. Nacher, the Director, wrote in the chronicle of the House, "Senhor Carlos put all his heart and soul as an unsurpassable artist in this monumental work of his." The Shrine was consecrated by the Apostolic Administrator of Dili, Mgr. Carlos Filipe Ximenes Belo, SDB, on the 15th of December 1987. Bro. Carlo had also a very strong and filial devotion to Our Lady. Many times, when he was still alive, he was seen praying the rosary in the Novitiate chapel. His great devotion to Our Lady must have been the reason why he put so much love and care in the construction of the Sanctuary of Mary Help of Christians and the beautiful church to Our Lady of the Rosary in the village of Wailili. These are not the only churches that Bro. Carlo helped to construct. Around the missionary center of Fatumaca and in several villages Bro. Carlo drew the plan for the construction of churches and chapels so that the ordinary people may have a fitting place of worship. On the 26th of November 1988, The Rector Major, Fr. 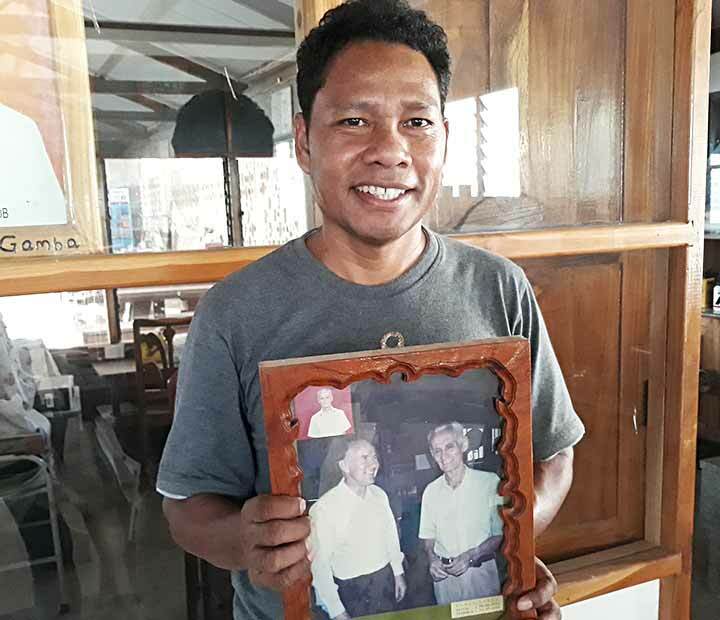 Egidio Vigano, during his visit to East Timor, gave to Bro. 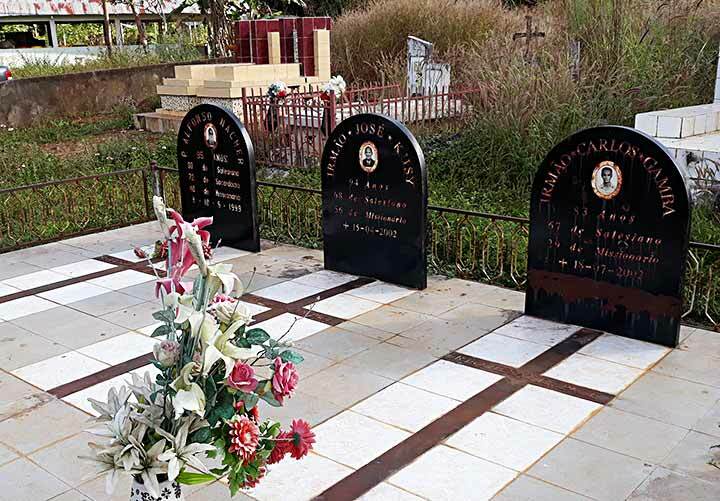 Carlo Gamba and the other pioneer Salesian mis­sionaries, as a token of appreciation for their missionary work, the Centenary of Don Bosco's Death Gold Medal. Bro. Carlo stayed in Fatumaca for the whole of his missionary life. Except for a short respite in Italy in 1996 because of some illness, he never returned back to his homeland, dedicating his life and work for the young of East Timor. They always treas­ured not only what they learned in the classroom while he competently taught carpentry or mechanics,' but also his "deep sentiments of love for God and the salvation of souls." (Fr. Carbonell) He was close to his boys in the classroom, in the workshop (which he fondly called his "laboratory") as well as in recreation. Many of his students found in him a very good friend to whom they could confide and seek advice and support even long after finishing their studies in Don Bosco Fatumaca. He was a true educator, apostle and missionary. Bro. Carlo's spirit of poverty was a shining example for all, especially for the young Salesians and Novices. When his lifeless body was found, Fr. Rector and the oth­ers who came to his "room" for the first time marveled at the very few things he had, "only the bare essentials in life," as one of them commented. 4754(III)_First of all heartfelt thanks and request of your blessing!